NATURE’S ANTIBIOTIC: A natural treatment and protector, produced by bees for over 40 million years. Helps relieve itching, soothes skin irritations, aids in restoring healthy skin and shiny coat, moisturizes and protects. Our Odor Eliminating Animal Spritz is perfect for tackling tough odors around the house. Its unique blend of enzymes mixed with our quality bee propolis makes for the perfect combination to get rid of bothersome odors. 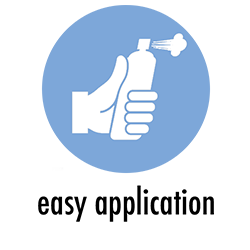 DISINFECTS: While our Spritz control odors, it also disinfects surfaces! SAFE TO USE: Our Spritz is non-toxic, and made with natural ingredients, so it’s safe to use around all kinds of pets, and all kinds of humans!